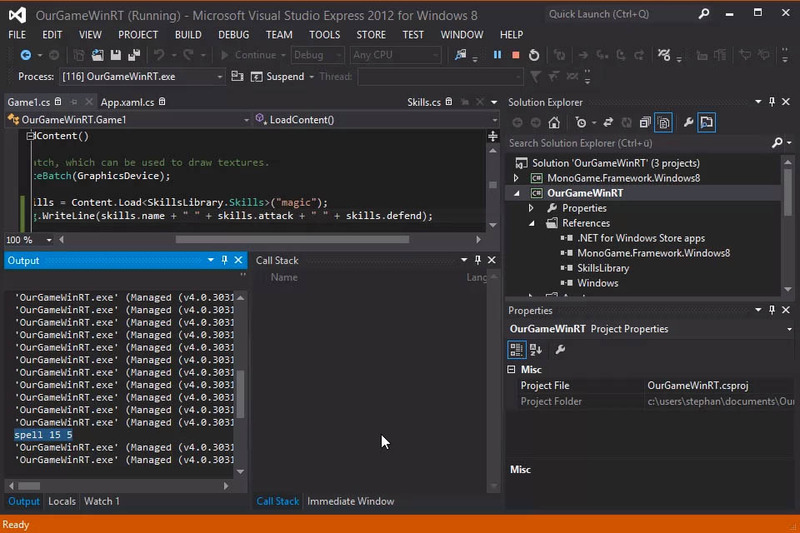 There is a feature of XNA called the Content Pipeline, a pre-compiler step for preparing assets to use at runtime. XNA offers the possibility to use Custom Content Importer. With MonoGame e.g. on WinRT it works almost the same. Instead of a XNA ‘Windows Game Library (4.0)’ Â you can use e.g. 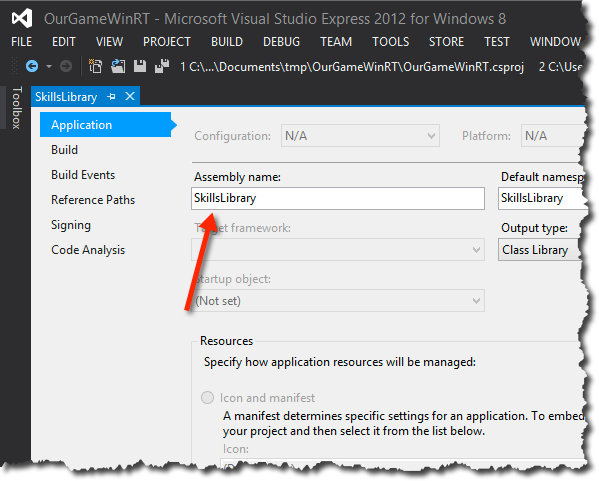 a ‘Class Library (Windows Store apps)’ in the WinRT project. Be sure to use the same name for the library and the class. The source files can be copied over from your XNA Game Library. Please note: the Assembly Name must match, otherwise it won’t work. In this example we will create a hand coded ContentTypeWriter and ContentTypeReader, but there is an automatic serialization feature for .xnb files using reflection. So why use hand written code? If you only want to watch the WinRT part and skip the XNA section justÂ jump ahead to 3 minutes and 44 seconds.